The University of Illinois Springfield recognized scholarship donors during the 22nd annual Scholarship Luncheon on November 7, 2018. More than 270 people participated in the luncheon. During the event, students got a chance to personally thank their donors and tell them about impact scholarships have made in helping them reach their educational goals. UIS student Rebecca Smith qualified for two institutional scholarships this academic year. She came to the luncheon to meet her donors for the first time and to say thank you. “Both of my scholarships are situational and beyond just the financial help, which is a miracle, the vote of confidence from someone who feels like you can succeed is huge when you’re a non-traditional student,” she said. Scholarship donors Frank and Linda Kopecky started a scholarship to help English and legal studies majors. Frank is a UIS emeritus professor of legal studies and Linda earned her master’s degree in English from UIS. She taught English for several years at Springfield College. 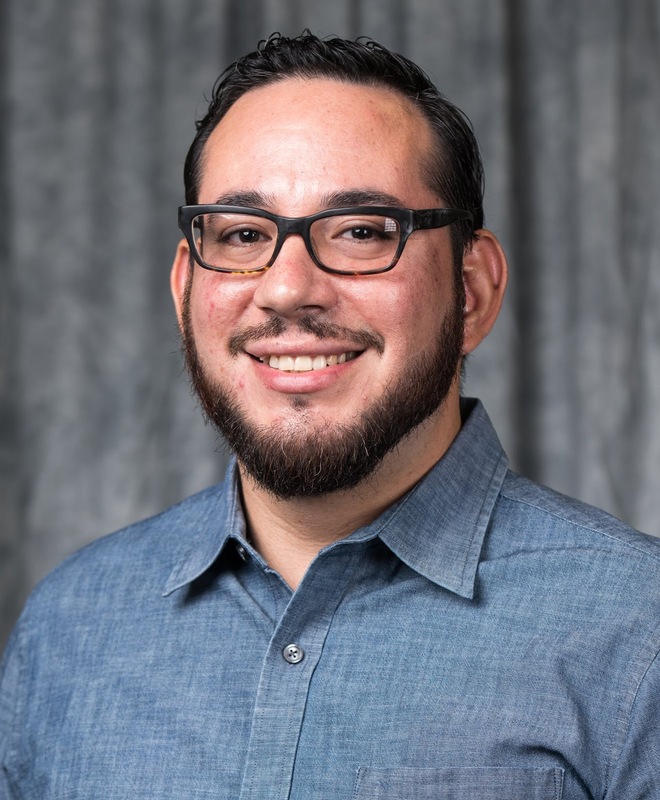 UIS student Thomas Rivera receives financial support from the Ted Mims Scholarship Fund, which was created by UIS alumnus Bill Hoffman in honor of a former professor who had an impact on his life. 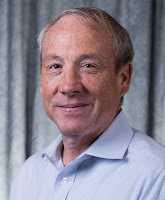 Hoffman recently retired following a 16-year career at Microsoft and more than 40 years working in information technology. Hoffman, who attended the event, has been looking forward to meeting Rivera for the first time. “Probably, whether he’s interested or not, I’m going to give him some career advice and maybe save him a step or two,” said Hoffman. Thanks to the support of donors, UIS currently offers approximately 630 institutional scholarships worth more than $636,000. Students may apply for the scholarships on the Financial Aid website. 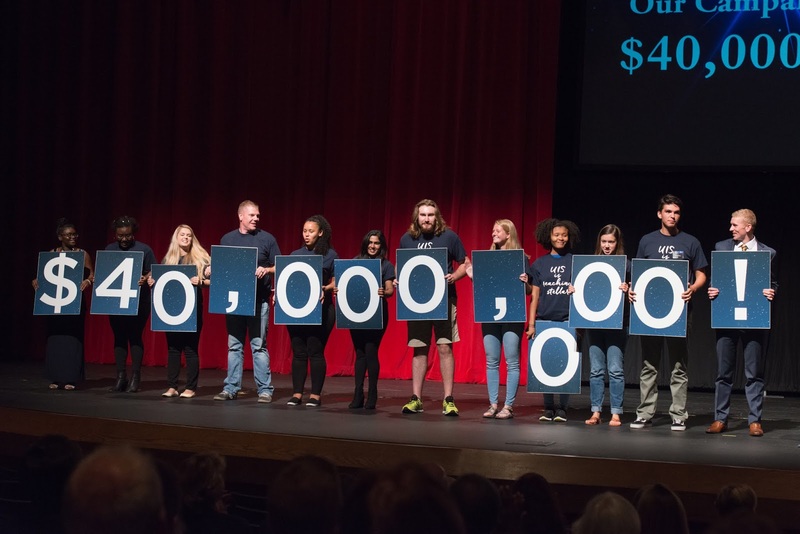 Scholarships are one of the top goals of Reaching Stellar: The Campaign for the University of Illinois Springfield, which is currently underway. The University of Illinois Springfield’s new Student Union building was honored with an excellence in design award by the American Institute of Architects (AIA) during the Prairie Chapter Design Meeting and Awards Program in Bloomington, Illinois on Nov. 1, 2018. The building was designed by Workshop Architects of Milwaukee, Wisconsin & Dewberry of Peoria, Illinois to LEED® Gold guidelines, with sustainable features which include a green roof, energy efficient lighting, rainwater reclamation system and radiant flooring in select areas. According to AIA, projects were judged by measuring the architect’s performance against each project’s potential and not against other projects. Decisions were based upon the overall excellence of design in various categories. For more information on the 2018 Prairie Chapter Design Awards, visit www.aia.org/prairie. More than 200 University of Illinois Springfield students helped to collect 18,095 pounds of food to help fight hunger in central Illinois on Halloween night. The majority of the food, 17,171 pounds, will be donated to the Central Illinois Foodbank, while 924 pounds will go to the on campus UIS Cares Food Pantry. 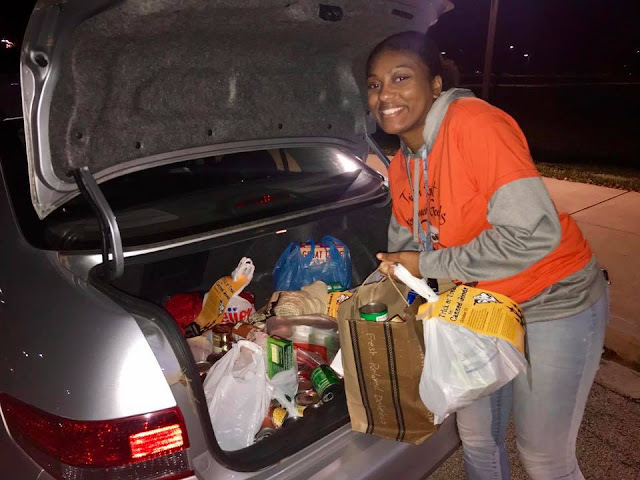 A total of 16 teams, consisting of 262 students, went door-to-door in several Springfield neighborhoods collecting canned goods and other non-perishable food items. Last week, the teams canvassed the neighborhoods and distributed door hangers that explained the project. Collected items were returned and weighed on campus. Prizes were awarded to the teams that collected the most food. 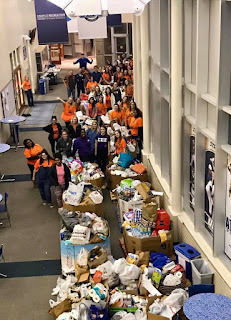 Students in the Tri-Sigma Sorority collected 3,032 pounds of food in the Westwood Forum and Mill Creek subdivisions. Leadership for Life Program students collected 2,070 pounds of food in the Country Club Estates subdivision. For a third year, the UIS Cox Children’s Center participated in the fun by having the children in costume Trick-or-Treat for Canned Goods at on campus departments. The children collected 924 pounds of food for the UIS Cares Food Pantry. The Central Illinois Foodbank, established in 1982, distributes 9 million pounds of food annually to over 160 food pantries, soup kitchens, residential programs and after-school programs in a 21 county region. The UIS Cares Food Pantry, located in the Student Affairs Building, was started in 2016 as a way to help students with food insecurity on campus. 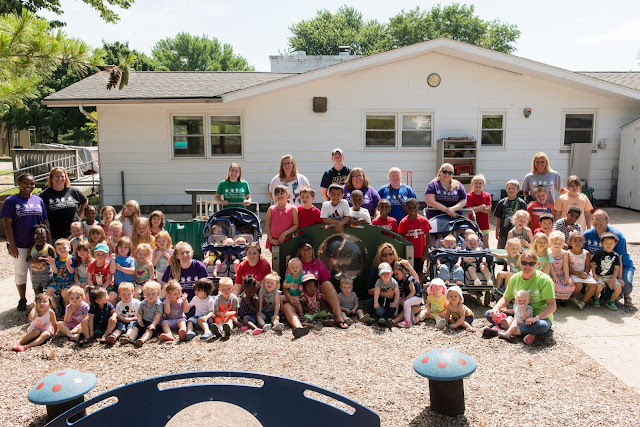 The University of Illinois Springfield Cox Children’s Center has received the Gold Circle of Quality designation, the highest rating possible, from ExceleRate Illinois, the state’s quality rating and improvement system for early learning and development providers. “Every early learning and development provider who participates in ExceleRate Illinois makes quality a priority,” said Cynthia L. Tate, executive director, Governor's Office of Early Childhood Development. “The higher the designation, the higher the program demonstrated quality and comprehensiveness in meeting children's early learning needs,” she said. ExceleRate Illinois is administered through the Illinois Network of Child Care Resource and Referral Agencies under the joint direction of the Governor's Office of Early Childhood Development, the Illinois Department of Human Services and the Illinois State Board of Education. The UIS Cox Children’s Center was established in 1970. The center is a resource for university students, faculty, staff, alumni and community clients. The programs are designed to provide early childhood care and education for children 6 weeks to 12 years of age. The center also serves as a site for practicum experiences for university students seeking hands-on learning in the field of early childhood education. The center’s early childhood program is accredited by the National Association for the Education of Young Children (NAEYC). The UIS Cox Children’s Center has received the ExceleRate Gold Circle Quality Designation every year since the program began in 2014. For more information contact Stacey Gilmore, director of the UIS Cox Children’s Center, at 217/206-6610 or shemb1@uis.edu. The University of Illinois Springfield Performing Arts Center, home of Sangamon Auditorium, has been awarded a $20,200 grant from the Illinois Arts Council Agency (IACA) for operational support. The August 24, 2018 grant will be utilized to support the UIS Performing Arts Education Connections Program, in addition to providing support for artistic programming that may not be able to rely on ticket sales to cover costs. According to IACA, the grant is designed to provide support to established not-for-profit organizations that make a significant local, regional or statewide impact on the quality of life in Illinois. 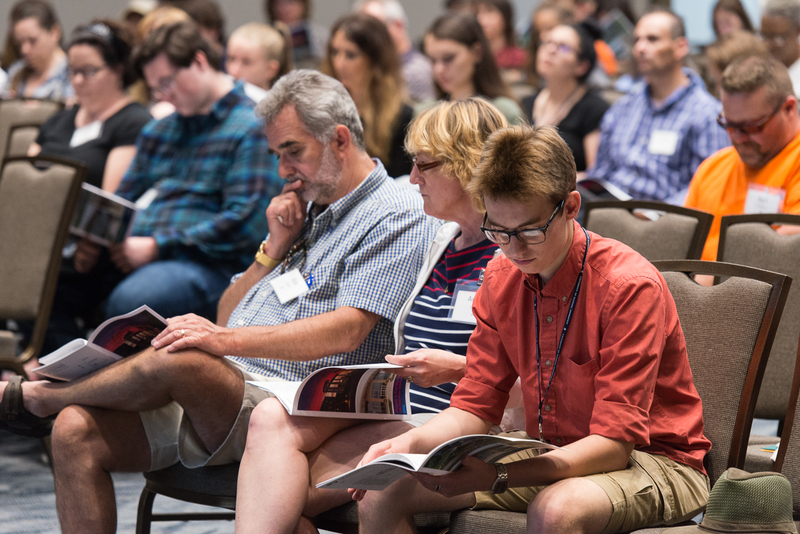 Grants recognize arts programming of high quality that is appropriate to and reflective of the communities served and that broaden opportunities for the public to participate in the arts. One of the educational components the grant will support is the Class Acts Program, a series of daytime performances for preK-12 grade students in central Illinois. Last season, nearly 15,000 students attended ten artistic, educational and high quality performances put on by national touring companies at Sangamon Auditorium. 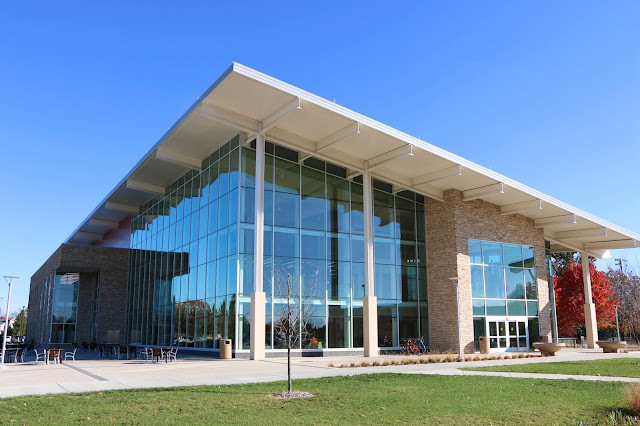 Overall, more than 72,000 people attended UIS Performing Arts Center events during the 2017-2018 season in the 2,005 seat Sangamon Auditorium and 350 seat Studio Theatre. 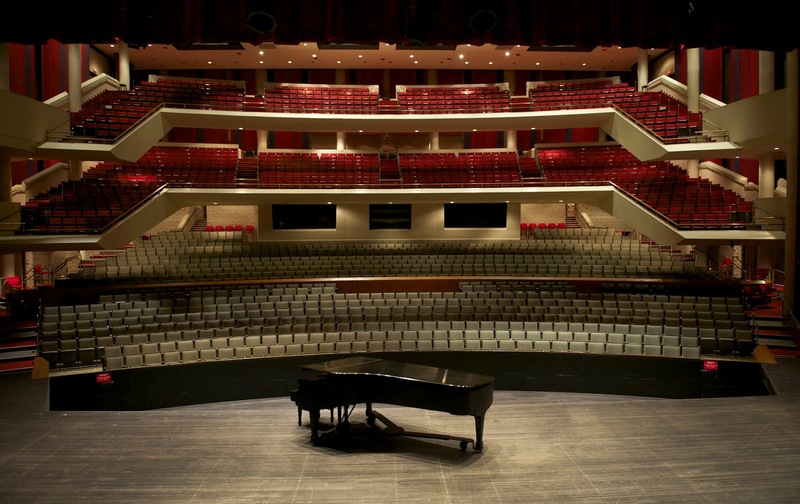 The Performing Arts Center hosts nearly 150 events each year, including Broadway shows, and is home to the Illinois Symphony Orchestra, the Springfield Ballet Company and the UIS Theatre and Music Programs. The Illinois Arts Council Agency was created as a state agency by the Illinois General Assembly in 1965 through legislation sponsored by Senators Paul Simon, Thomas McGloon, and Alan Dixon. The agency is governed by up to twenty-one private citizens chosen for their demonstrated commitment to the arts and appointed by the Governor. For more information, contact Jen Tibbs, UIS Performing Arts Center coordinator of public information and marketing, at 217/206-8284 or jen.tibbs@uis.edu. Freshmen enrollment at the University of Illinois Springfield grew by nearly 14 percent according to Fall Semester 2018 census numbers released today. The total number of first-year students stands at 316, compared to 278 last fall semester. 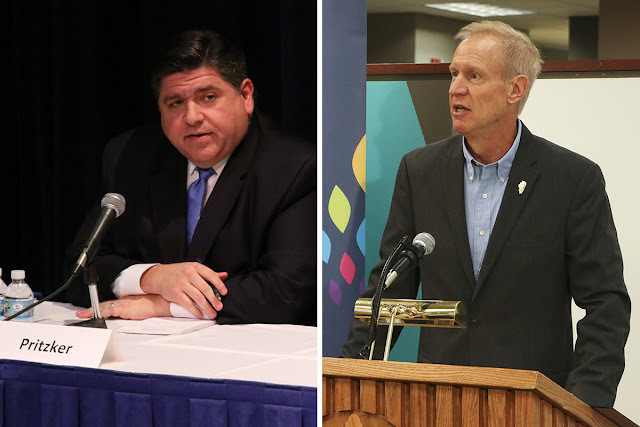 Nearly 90 percent (284) of the new freshmen are Illinois residents and 47 percent have self-reported as a minority. UIS saw an increase in the percentage of its student body (75.5 percent up from 72.2 percent last year) coming from Illinois. 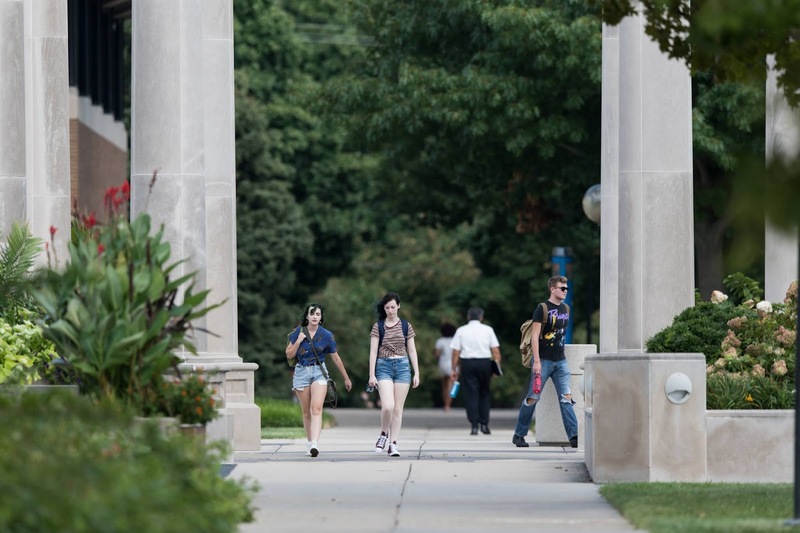 The university has a total of 3,453 students who are Illinois residents. International students encompass 9.5 percent of the students enrolled. The number of students taking classes completely online continues to be an important part of the UIS student body. A total of 1,636 students (nearly 36 percent) are enrolled in online degree or certificate programs. This semester, UIS online students reside in 45 states, 82 counties in Illinois and 11 foreign countries. After the first 10 days of classes, the total number of students enrolled in fall classes at UIS stands at 4,575 compared to 4,956 students in fall 2017. Total undergraduate enrollment stands at 2,814 students compared to 2,932 in fall 2017. The number of graduate students decreased from 2,024 in 2017 to 1,761 in 2018. There are a total of 585 African American students enrolled this semester comprising 12.8 percent of the student body. Students who self-identify as Hispanic comprise 7.3 percent (334) of this year’s student body, and Asian students comprise 3.9 percent (178). This week U.S. News & World Report also announced that UIS is ranked in the top 10 Best Public Regional Universities in the Midwest. The Springfield campus was ranked as the ninth best public university in the national rankings, up from the previous year. The University of Illinois Springfield has received institutional reaccreditation from the Higher Learning Commission (HLC), an independent corporation that serves as one of six regional institutional accreditors in the United States. UIS has been accredited by the commission since 1975. The 10 year reaccreditation was approved by the Institutional Actions Council of the Higher Learning Commission at its meeting on July 31, 2018. “This reaccreditation is a testament to the quality of academic programs that are offered at the University of Illinois Springfield; but also a recognition of the deep commitment of UIS faculty and staff to our students and to the mission and vision of the University,” said UIS Chancellor Susan J. Koch. The commission not only evaluated UIS’ academic programs, but the quality of the institution as a whole, including its governance and administration, mission, finances, and resources. HLC’s institutional accreditation includes all degree levels as well as onsite and online offerings. 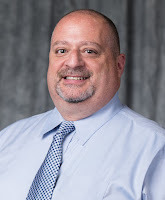 According to UIS Vice Chancellor for Academic Affairs and Provost Dennis Papini, institutional accreditation is important because the U.S. Department of Education requires that an institution be accredited in order for its students to be eligible for federal financial assistance. The UIS institutional reaccreditation process began in 2012 and culminated with a site review by peer reviewers in February 2018. The peer reviewers determined that UIS meets HLC standards and is engaged in continuous improvement. UIS will take part in two assurance reviews during the 10-year Open Pathway accreditation cycle - one in four years and one in 10 years. The next site visit will happen during the 2027-2028 academic year. The Higher Learning Commission is recognized by the U.S. Department of Education to accredit degree-granting colleges and universities. HLC accredits degree-granting post-secondary educational institutions in the North Central region, which includes 19 states. Innovate Springfield, a downtown Springfield innovation and business incubator, has become part of the University of Illinois Springfield (UIS) under an agreement aimed at expanding economic growth, entrepreneurship opportunities and social progress in the capital city, Chancellor Susan Koch announced today. In joining UIS, Innovate Springfield, founded in 2014 by the Community Foundation for the Land of Lincoln, also becomes the first hub of the Illinois Innovation Network (IIN). The new initiative, led by the U of I System, was announced last fall and is being developed to accelerate statewide job creation and economic development through groundbreaking research and innovation. As the network’s first hub, Innovate Springfield will receive $1.5 million in funding over the next three years to expand programs supporting start-up businesses, entrepreneurs and innovation that promotes the public good. Funding grew from a U of I System offer to match any local funding provided to create the Springfield hub. The city of Springfield, Land of Lincoln Economic Development Corporation, and the Community Foundation for the Land of Lincoln agreed to contribute a combined $250,000 annually over the next three years. 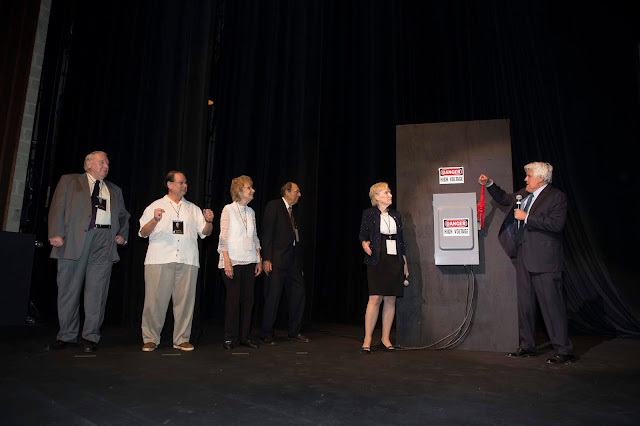 With the system’s match, the agreement will provide a total annual investment of $500,000. Koch said joining UIS and IIN will amplify Innovate Springfield’s efforts to bring new businesses and high-impact social programs to central Illinois. The incubator will be able to partner with UIS faculty and students, as well as with IIN hubs that will ultimately include the U of I’s universities in Urbana-Champaign and Chicago, other downstate sites and the Discovery Partners Institute (DPI), a new Chicago-based institute that will be the cornerstone of the network. At the same time, she said, UIS students and faculty will benefit from new learning and research opportunities that will be available through Innovate Springfield and IIN. U of I President Tim Killeen said adding Springfield as the first hub builds on momentum that includes $500 million in state capital funding to develop the new innovation enterprise and new partnerships with corporations and universities around the world. Koch had been working to bring Innovate Springfield to her campus before IIN and DPI were announced, seeking to give UIS a presence in downtown Springfield and expand access to university resources that would help the incubator reinvigorate the community. As part of UIS, Innovate Springfield offices will continue to be located downtown at 15 South Old State Capitol Plaza, operating under UIS’s Center for State Policy and Leadership and the Center for Entrepreneurship. After IIN and DPI were announced, talks expanded to include making Innovate Springfield the network’s first hub and providing seed money to ramp up operations. Koch said the Springfield incubator will play a unique role in the new, statewide innovation network that the U of I System will lead. 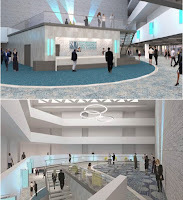 Along with entrepreneurship and business creation, which also will be a focus of other hubs, the UIS incubator will continue to emphasize collaboration and innovation that serves the common good by using technology for social causes such as protecting the environment or expanding opportunities for the underprivileged. Innovate Springfield is a catalyst for entrepreneurial activity in social innovation and business development in central Illinois. The incubator’s Business Incubation Program, which began in 2016, currently supports the development and acceleration of companies being led by 44 members in various stages of their startups by offering access to high-quality programming, business advisors, mentorship, and 24/7 access to 7,000+ square feet of low-cost office amenities in downtown Springfield. Through implementation of locally responsive priorities including the Sangamon Success report, Innovate Springfield’s Social Innovation Program supports local programs in aligning with research evidence to improve educational attainment and acquisition of the skills needed by a 21st century workforce. “Our rapid growth over the past two years is a testament to the critical mass forming around innovation in the region,” said Katie Davison, executive director of Innovate Springfield. 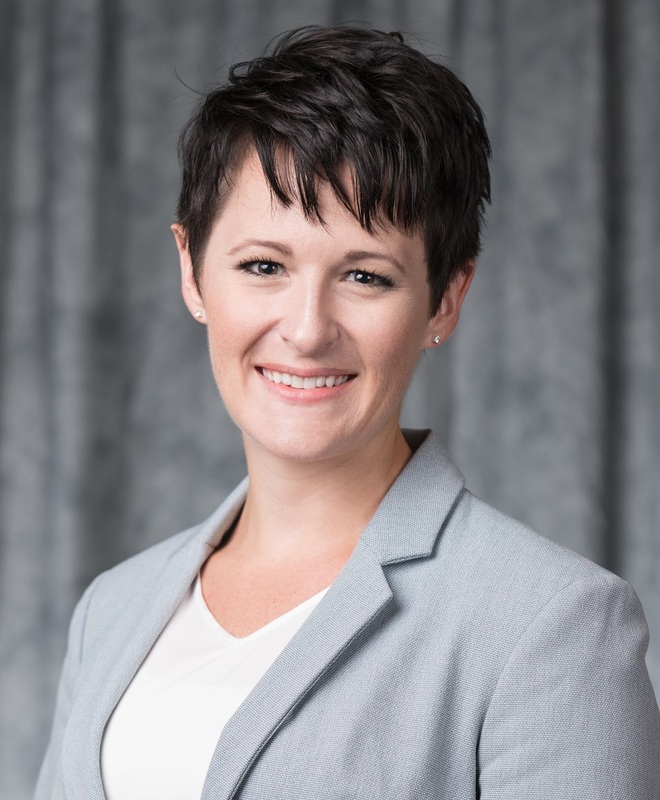 Davison will continue as director of Innovate Springfield and said she believes her organization’s new partnership with UIS will enhance resources that will advance its flagship programs, Business Incubation and Social Innovation. “Becoming a university-led incubator will tremendously strengthen our region’s innovation ecosystem through UIS’s local, statewide, and global networks and resources,” she said. The Community Foundation’s initial investment in the non-profit incubator spurred the support of other local funders including the Greater Springfield Chamber of Commerce’s Strategic Leadership Council and a number of private donors. From the beginning, the Community Foundation viewed founding Innovate Springfield as a means of creating systems-level change for Springfield by supporting both human capital and economic development. Starting a combined business and social innovation incubator, Innovate Springfield took a new, holistic approach to community and economic development, something that’s never been done before. “Business innovation and incubation are proven energy drivers for investment in any community. The tremendous opportunity presented by combining Innovate Springfield with the UIS/IIN made it an easy call to support this initiative as one of our new EDC’s first investments, said Hy Bunn, board chair of the Land of Lincoln Economic Development Corporation. Plans for IIN and DPI were announced in October by Gov. Rauner. Work is underway on an implementation plan that will establish a timetable for opening and other details of the enterprise, where world-class researchers will work side-by-side with students and businesses to foster next-generation innovation and workforce development. DPI will be developed in Chicago and will bring together top faculty in agriculture, healthcare, computing and other critical fields from the U of I System and partner universities. Nearly 100 new researchers also will be added, and together they will connect with hundreds of businesses and thousands of students over time, as well as with entrepreneurs and venture capital firms. Their research and educational collaborations will address real-world challenges, promoting the kind of breakthrough discoveries that create new products and companies. Those innovations will fuel economic growth, while also providing hands-on experiences for students and nurturing a skilled workforce for the city and state. 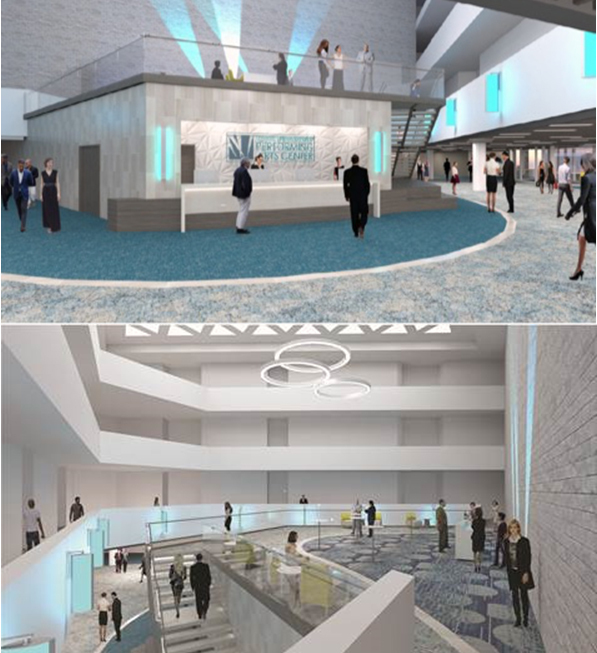 The institute will be the centerpiece of IIN, a virtually connected statewide enterprise allowing DPI staff to work with university and business partners in Springfield and other regions across the state on research and education initiatives that help launch new companies and lift communities. A total of 21 new faculty members have joined the University of Illinois Springfield for Fall Semester 2018. 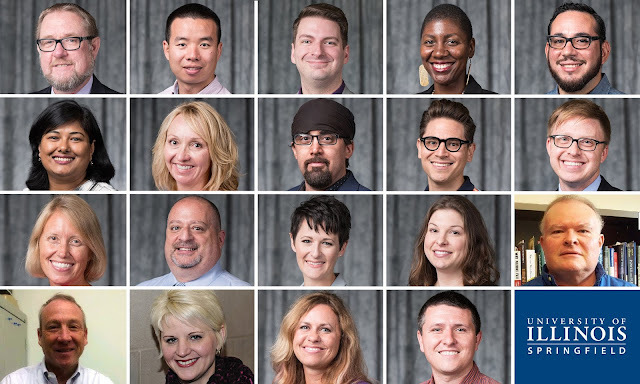 Nine faculty members will teach in the College of Liberal Arts and Sciences, two in the College of Business and Management, two in the College of Education and Human Services, four in the College of Public Affairs and Administration and one the Capital Scholars Honors Program. The College of Education and Human Services will also welcome a new research faculty member and two doctoral dissertation fellows will join the College of Public Affairs and Administration. 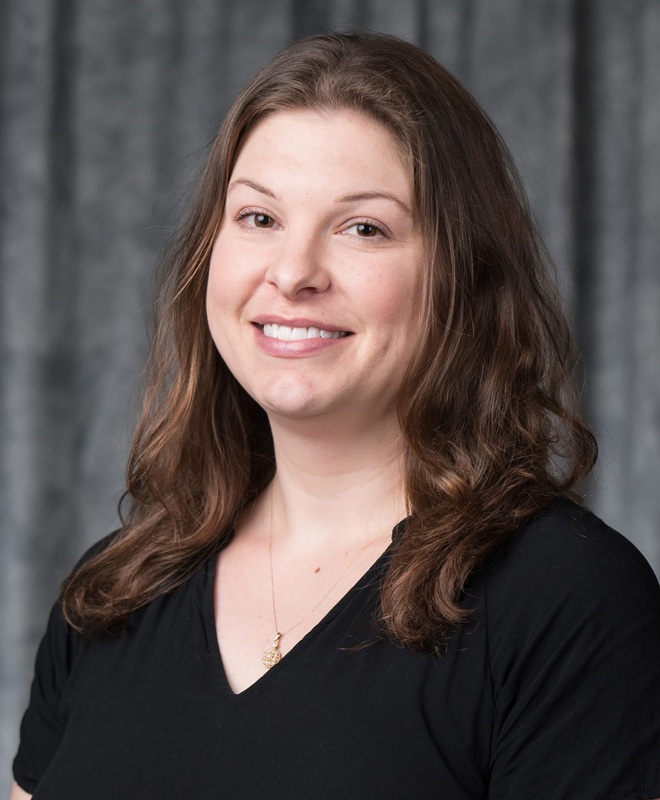 Amandailee Adams, assistant professor allied health/medical laboratory science in the College of Liberal Arts & Sciences, hold a master’s degree in biology from the University of Illinois Springfield. Her research interests include microbial biofilms and studying antibiotic resistant microorganisms in the clinical setting. Outside of work, she enjoys family adventures, traveling, boating and mentoring children. 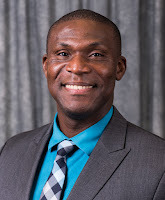 Oluwakayode Adebowale, visiting research assistant professor of educational leadership in the College of Education and Human Services, earned a doctorate in technology, policy and innovation from the State University of New York – Stony Brook. His research interests include learner analytics; equity, diversity and inclusion; educational policy, learning technology, quantitative research, S.T.E.M and cross‐global collaboration. His personal interests include college‐prep, S.T.E.M, grant writing, track and field, mentoring, networking and traveling. Timothy Bill, communication instructor and forensics coach in the College of Liberal Arts & Sciences, earned a master’s degree in communication from the University of Kentucky. 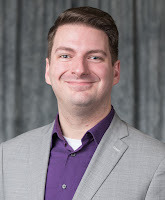 His research and professional interests include political communication, speech and debate, persuasion, argumentation and instructional communication. Outside of work, he enjoys reading, hiking and running. Glenn Cassidy, economics instructor in the College of Business and Management, earned a Ph.D. in public policy analysis from Carnegie Mellon University. His research interests include state and local public finance, economic development and regulatory economics. His personal interests include creative writing, poetry open mics and economic history. 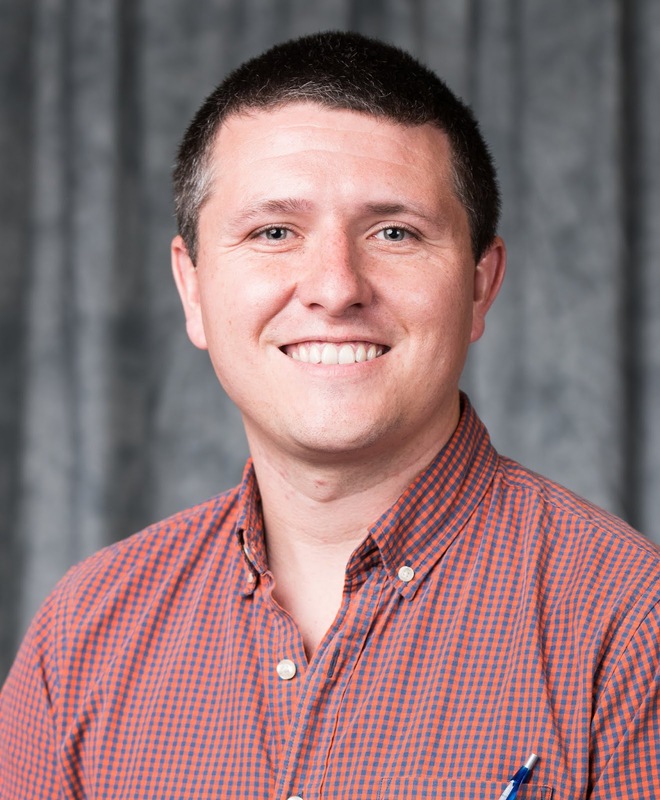 Alan Freedman, assistant professor of allied health/athletic training in the College of Liberal Arts & Sciences, earned a master’s of education in athletic training from the University of Virginia. He is currently completing his doctorate. His research and professional interests include epidemiology of fencing injuries and hip joint pathology. Outside of work, he enjoys cycling, golf and travel. 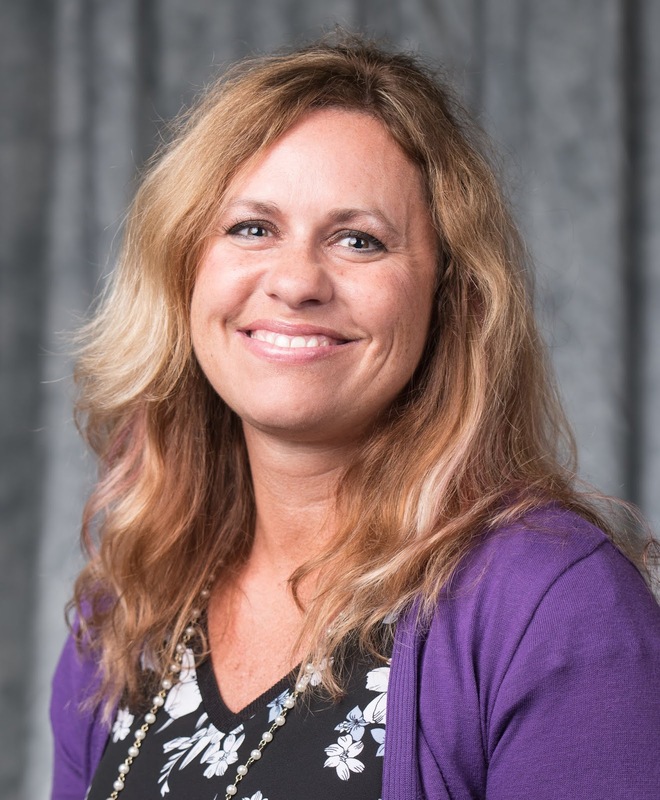 Andrea Jensen, assistant professor of allied health/medical laboratory science in the College of Liberal Arts & Sciences, holds a master’s degree in public health from the University of Illinois Springfield. 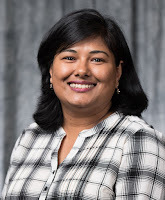 Her research/professional interests include asymmetric information in laboratory testing and its effect on healthcare costs, appropriate laboratory test utilization and outcome improvement in MLS programs. Her personal interests include gardening, theatre, knitting, crocheting, sewing, quilting and long walks. Meghan Kessler, assistant professor of teacher education in the College of Education and Human Services, earned a doctorate in curriculum and instruction from the University of Illinois at Urbana-Champaign. 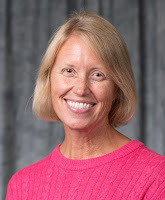 Her research and professional interests include policies and practices of teacher evaluation and its impact on new teacher development and socialization. Outside of work, she enjoys running and biking the trails around Springfield. Kenneth Kriz, distinguished professor of public administration in the College of Public Affairs & Administration, holds a doctorate in public affairs from Indiana University. His research and professional interests include municipal debt, public pension fund management, public financial risk management and economic development finance. Personally, he enjoys hiking, exercise, reading, music and Manchester City football. 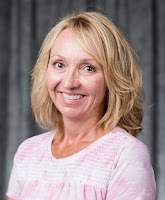 Shelley Lewis, visiting instructor of English and modern languages, earned a master’s degree in English from Illinois State University. 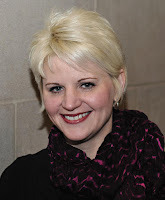 Her research and professional interests include student success in writing. Outside of work, she enjoys writing and reading. 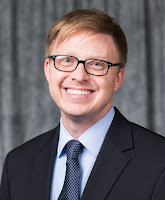 Joshua Lively, doctoral dissertation fellow in environmental studies in the College of Public Affairs and Administration, earned a master’s degree in geology from the University of Utah. His research and professional interests include the evolutionary patterns of organisms (especially marine reptiles and freshwater turtles) during periods of globally warm climate in deep time. Personally, he enjoys hiking, bird watching, fishing, watching college football and tennis. 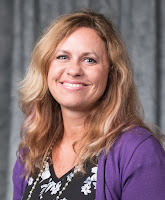 Elise LoBue, visiting instructor in the Capital Scholars Honors Program, earned a doctorate in women’s studies from the University of Iowa. Her research/professional interests include post‐socialist transitions in the former Soviet Union and Turkish refugees who are members of the Hizmet movement seeking political asylum in Canada. Personally, she enjoys gardening, fitness and wellness, Ubering her children (more of a hobby, than an interest) and watching their sporting activities. Jennifer Martin, assistant professor of teacher education in the College of Education & Human Services, holds a doctorate in education from Oakland University. 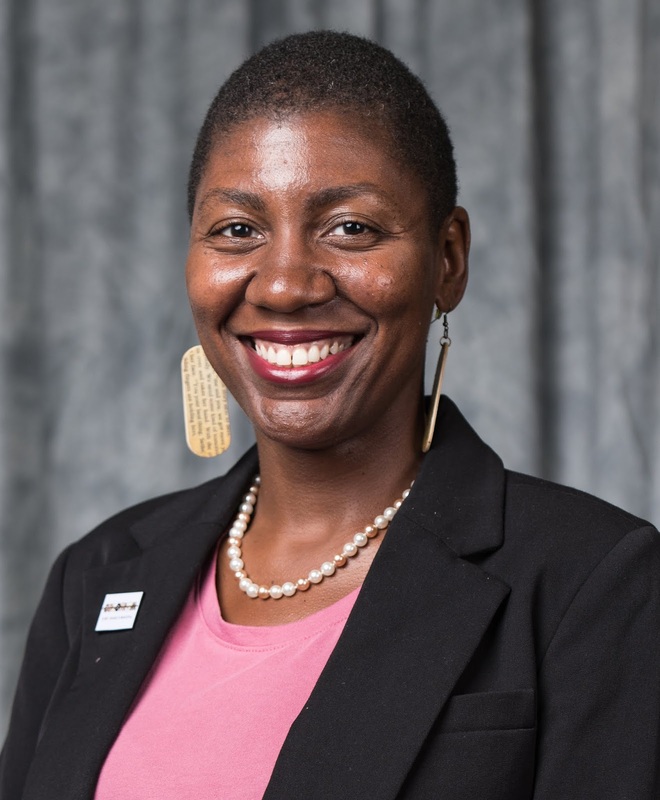 Her research and professional interests include culturally responsive teaching and leading practices and issues of educational equity. Outside of work, she enjoys writing, true crime podcasts and her twin Boston Terrier puppies, Mimi and Malcolm. Sean McCandless, assistant professor of public administration in the College of Public Affairs and Administration, earned a doctorate in public affairs from the University of Colorado. His research interests include public administration and social equity. He is personally interested in music, travel and food (and when all three combine). Noah Reynolds, assistant professor of biology in the College of Liberal Arts & Sciences, earned a doctorate in microbiology from The Ohio State University. His research/professional interests include molecular and cellular biology, specifically, understanding the regulation of protein synthesis in organisms ranging from bacteria to humans. Outside of work, he enjoys running, spending time with his kids and making and listening to music. 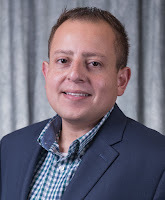 Roberto Rincon, doctoral dissertation fellow in political science in the College of Public Affairs and Administration, holds a master’s degree in political science from Northeastern Illinois University. 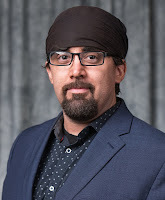 His research and professional interests include issues of race and social justice with a focus on the politics of recognition as it regards Afro‐Mexican communities in Mexico and the United States. His personal interests include travel, music, fiction – an extension of a commitment to diversity, experiential learning and thinking the common. 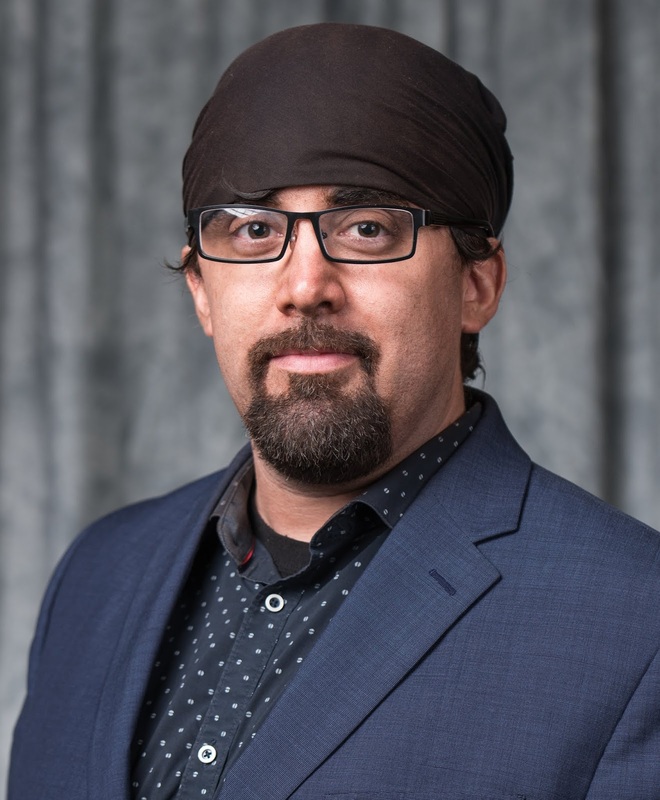 Arnaldo Robles-Reyes, assistant professor of English and modern languages in the College of Liberal Arts & Sciences, earned a doctorate in second language acquisition (Spanish) from the State University of New York, University at Albany. David Saner, instructor of accountancy in the College of Business and Management, earned a master’s degree in business administration (MBA) from Indiana University. His research and professional interests include fraud and unfunded pension liabilities. Outside of work, he enjoys golfing, skiing and attending a myriad of children’s events. Junu Shrestha, assistant professor of public health in the College of Public Affairs and Administration, earned a doctorate in allied health, recreation and community services (environmental health education) from the University of Northern Iowa. Her research and professional interests include heavy metal pollution, water quality, GIS techniques in environmental and public health, and environmental pollutants and public health. Outside of work, she enjoys cooking, biking and traveling. 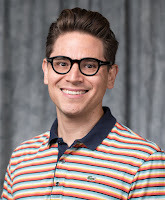 Steven Vitti, assistant professor of allied health/exercise science in the College of Liberal Arts & Sciences, holds a doctorate in exercise physiology from Springfield College. His research and professional interests include betalain supplementation, muscle damage and inflammation. Personally, he enjoys coffee and running. Sarah Webb, assistant professor of English and modern languages in the College of Liberal Arts and Sciences, holds a doctorate in English from Louisiana State University. Her research and professional interests include creative writing, digital media and global advocacy and interventions in the issue of colorism. Outside of work, she enjoys earrings and 90s R&B. 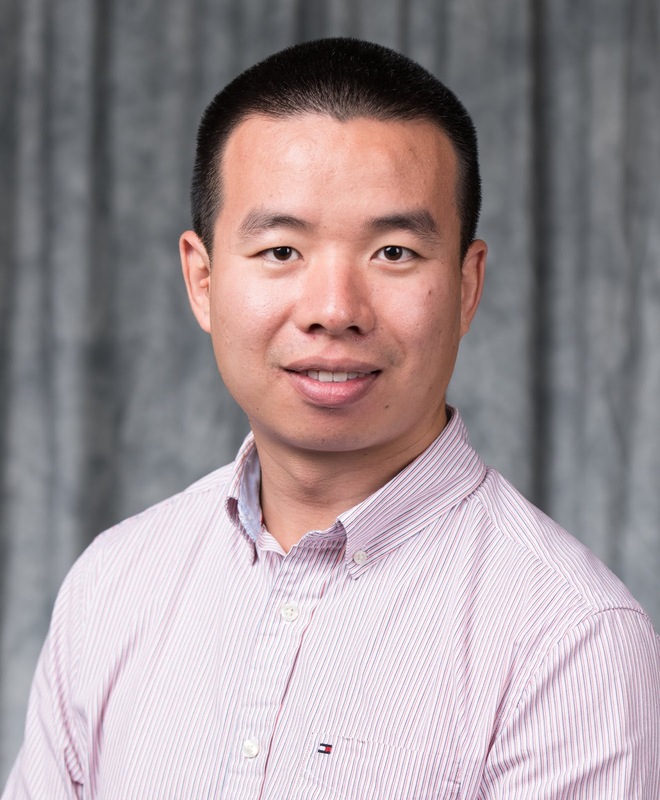 Yun Zhao, assistant professor of environmental studies in the College of Public Affairs and Administration, earned a doctorate in geography from Oklahoma State University. 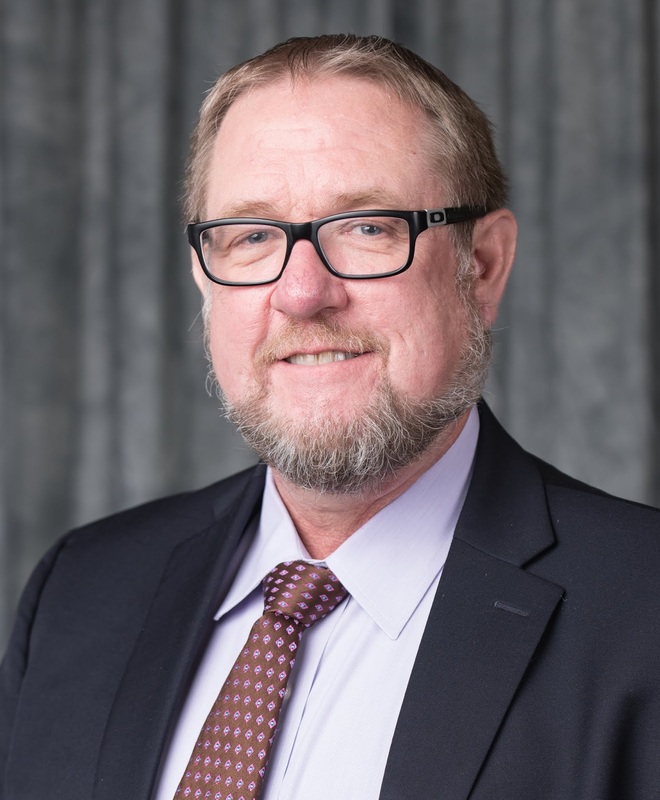 His research and professional interests include Geographic Information System (GIS), remote sensing, urban and transportation geography and landscape ecology. His personal interests include bicycling, running, thriller movies and spending time with family. The University of Illinois Springfield welcomed nearly 300 new students and their parents to campus during Freshmen Move-In Day on August 22, 2018. Incoming freshman Sandra Trujillo-Quinonez woke up early to make the drive down with her parents from Chicago to Springfield. Other students, such as Emma Lucas, drove nearly 900 miles from Colorado Springs, Colorado to start her freshman year at UIS. UIS Chancellor Susan Koch greeted students and parents as they moved into the residence halls. Students were assigned arrival times in an effort to avoid congestion. Volunteers help direct parents to parking spaces, unload and carry items and help students find their rooms. “I think it’s really rewarding to kind of be out here and see all of the freshmen moving in and you can kind of get to help them,” said Payton Sturdy, a UIS student volunteer. Kelley hopes that parents will leave their students having experienced a smooth and easy move-in day and knowing that there’s someone at UIS who cares about their student. “Ultimately, every family member wants to know that their students are cared for and that’s a big part of today as well,” said Kelley. In addition to the nearly 300 new freshmen students, UIS will welcome approximately 120 new graduate and transfer students to campus housing later this week. Fall Semester 2018 classes start at UIS on Monday, August 27. The University of Illinois Springfield Music Program has launched a new Community Music School offering instrumental and vocal instruction to adults and children five years and older. 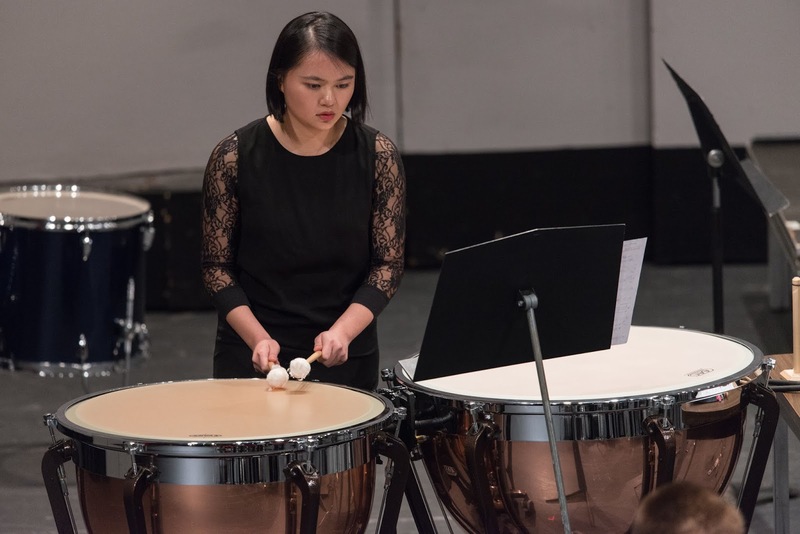 The purpose of this program is to offer affordable, high quality, individualized music instruction and performance opportunities that enrich the community and campus. In addition to voice lessons, instruction will be offered on the following instruments: bass, bassoon, cello, clarinet, flute/piccolo, French horn, guitar, oboe, percussion, piano, saxophone, trombone, trumpet, tuba, viola and violin. Lessons are available on some traditional instruments as well. Lessons are offered weekly for either a half-hour, 45 minutes or one hour and will be taught by a UIS Community Music School teacher. Early registration ends on August 25. Late registration (an additional $10) ends on September 10. Lessons begin the week of September 10. Applicants that miss the fall late registration deadline should contact the UIS Music Program to check if there are any remaining spots available. Applicants can also register for the spring semester. Students are required to provide their own instruments for lessons and practice, although pianos and some percussion instruments are available. Community Music School students will also have the option to join the UIS band, chorus and orchestra. For more information and to apply for classes, visit the UIS Community Music School website. The Community Music School application is available online. Questions may be directed to Amanda Lazzara at 217/206-6240 or music@uis.edu. 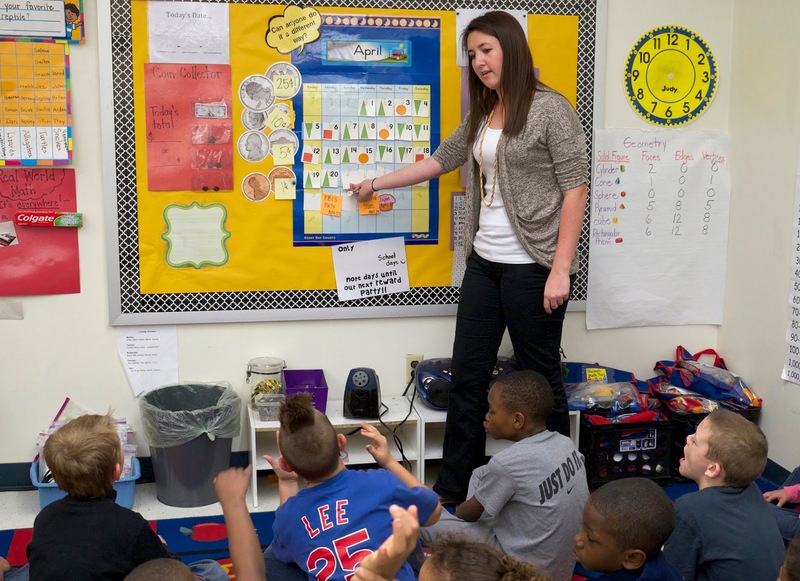 UIS Teacher Education major Gabby Zeigler student teaches a class in 2015. The University of Illinois Springfield’s Teacher Education Department will offer a new dual credit course for high school seniors in Menard and Sangamon Counties in an effort to encourage them to become teachers. This is only the second year that UIS has offered dual credit courses, taught by University faculty members, to local high school students. The seniors will earn both college and high school credit for completing the course. The dual credit course being offered is titled “Foundations of American Education.” The series of classes will provide students with an introduction to U.S. public and private K-12 schools through an exploration of the history and philosophy of education. The course counts toward general education credits for those students who attend UIS to complete their bachelor’s degrees. The course will be offered on the UIS campus on Wednesdays from 6 to 8:30 p.m. starting on August 29, 2018. The course will be taught by Scott Doerr, a UIS adjunct teacher education instructor and superintendent of the Nokomis School District. The course is open to any senior who attends a high school in Menard or Sangamon Counties. The dual credit Teacher Education course will cost high school students $50, plus the cost of a textbook (rental, used and online options are available). Students can sign up for the course by talking to their high school guidance counselor before August 22. 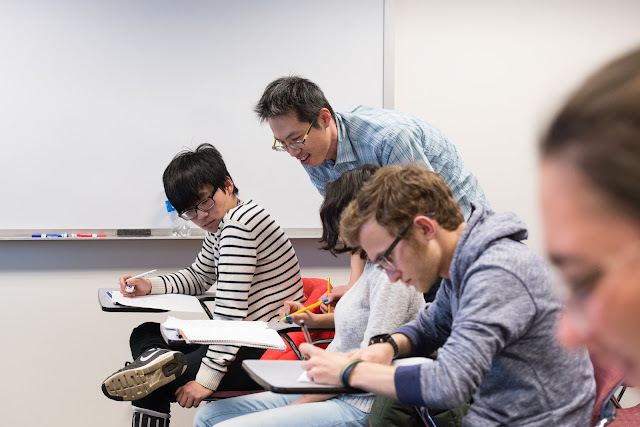 While the course fulfills the introductory requirement for the UIS Teacher Education Program, the credits could also transfer to other institutions in the state if a student should choose to complete his or her education degree elsewhere. 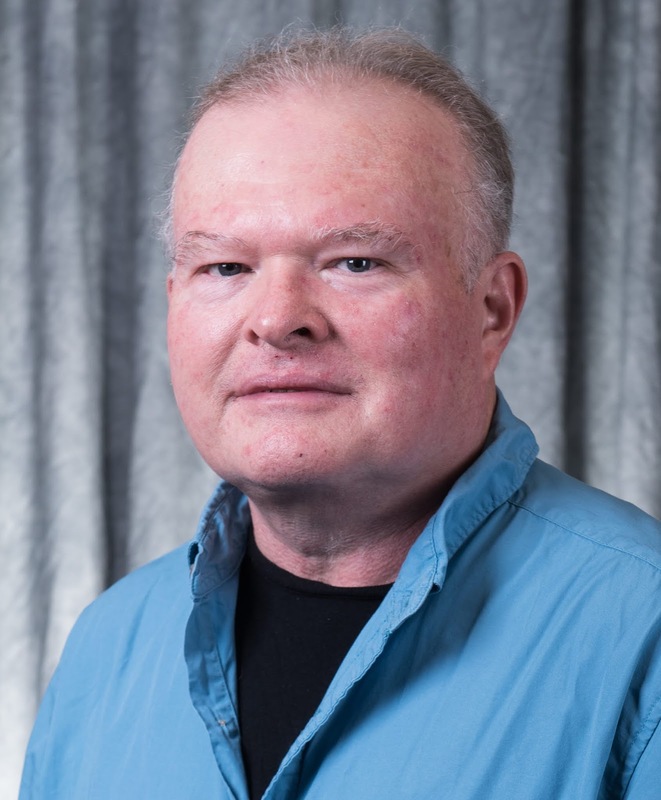 In August 2017, UIS Associate Professor of Biochemistry Stephen R. Johnson offered the first dual credit course for high school students at UIS. A group of 18 students from Springfield’s Sacred Heart-Griffin High School (SHG) took part in the pilot program. The dual credit chemistry course will again be offered to SHG students during the 2018-2019 academic year. For more information on the course, contact Cindy Wilson, chair of the UIS Teacher Education Department, at 217/206-6386 or cwils1@uis.edu. A University of Illinois Springfield social media campaign is highlighting students who graduated with a job. The "Hired!" campaign was featured on the UIS Facebook, Twitter and Instagram pages in the summer of 2018. 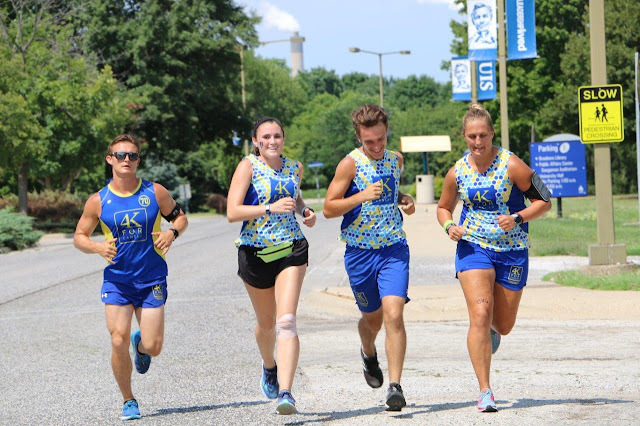 The University of Illinois Springfield will host a 4K for Cancer team during their more than 4,000 mile, 49 day cross-country run from San Francisco to Baltimore to raise funds and awareness for young adults with cancer. The team of 19 runners, made up of college-aged students, will spend two nights on the UIS campus. The runners are expected to arrive in Springfield on July 19 between 2-4 p.m. and depart Springfield on July 21 around 6 a.m. The team traveling through Springfield left San Francisco on June 17 and is expected to finish in Baltimore on August 4. 4K for Cancer is a program of the Ulman Cancer Fund for Young Adults, a non-profit organization dedicated to supplying support, awareness and education for young adults with cancer. The non-profit's program focuses on uniting communities and people across the country who have been affected by cancer. This is the 17th year 4K for Cancer has sent young adults on a journey across the country in an effort to inspire hope and unite communities in the fight against cancer. According to 4K for Cancer, more than 70,000 young adults are diagnosed with cancer every year. Young adults (ages 15-39) face a variety of unique challenges with a cancer diagnosis including fertility preservation, social isolation, lack of insurance, delayed diagnosis and more. The University of Illinois Springfield has released the Dean’s List for Spring Semester 2018. A total of 519 students were selected; 77 are students in the College of Business and Management, 39 are students in the College of Education and Human Services, 323 are enrolled in programs in the College of Liberal Arts and Sciences, 66 are enrolled in programs in the College of Public Affairs and Administration, and 14 are non-degree seeking or undecided. 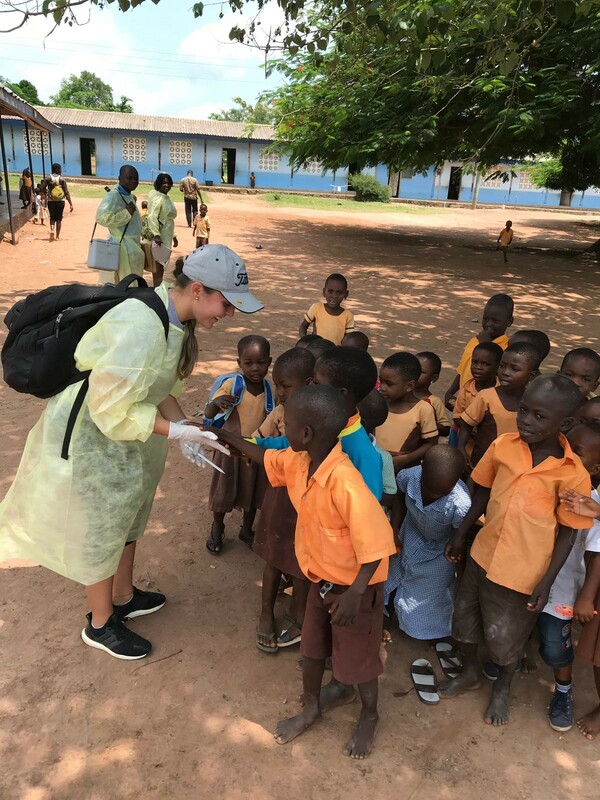 A group of seven University of Illinois Springfield students and three faculty members are spending their summer conducting research in Ghana, West Africa as part of an international study abroad trip. The UIS students and faculty are investigating the prevalence and risk factors for diabetes, hypertension and hepatitis C co-infection with HIV among the Ghanaian population. They are also assessing water quality by collecting samples from local sources and testing for coliform, E. coli and other harmful properties. The UIS delegation arrived in Ghana on June 5 and will finish their research on July 24 when they return to the United States. They are partnering with the University of Health and Allied Sciences School of Public Health in Hohoe, Ghana. In addition to Alamu, UIS faculty members Dennis Ruez, associate professor of environmental studies, and Kamau Kemayo, associate professor of African-American studies, are also part of the trip. UIS students and faculty have previously traveled to West Africa in 2011, 2012, 2013, 2014 and 2016 to conduct water quality and other public health assessments in The Gambia. 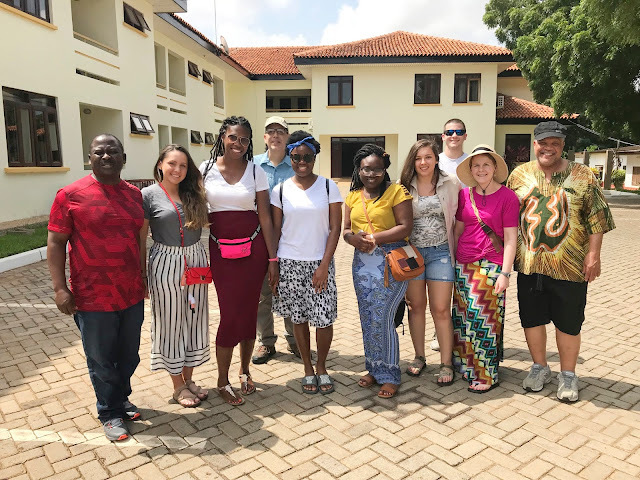 This is the first time that UIS has sent students to Ghana for a summer study abroad program. 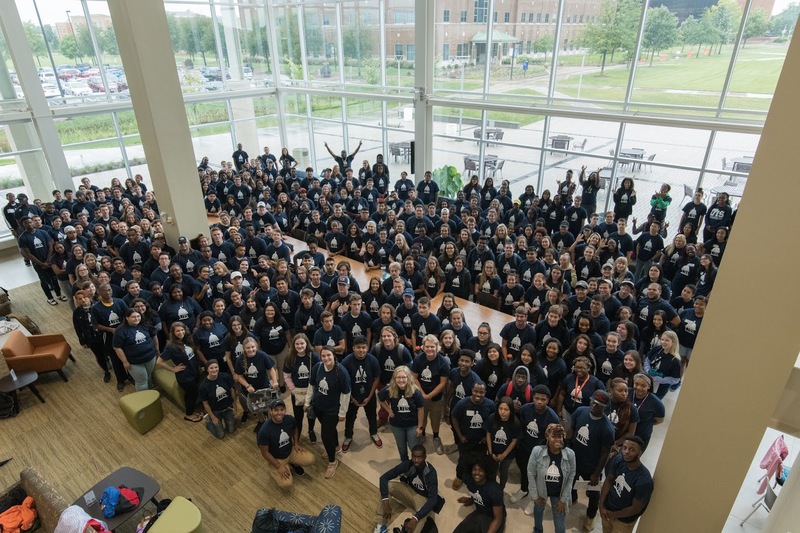 The University of Illinois Springfield is welcoming hundreds of new students and their parents to campus during summer KickStart Orientation events in June, July and August. A total of six different orientation sessions are planned. The two-day overnight events helps students understand UIS requirements, meet their fellow classmates and learn their way around campus. Incoming freshman Kloee Schmulbach of Spaulding says she chose the University of Illinois Springfield because it is close to home. She’s planning to live on campus, but is comforted by the fact she’s only 15 minutes away from home. Trenton Newberry, an incoming freshman from Anna, Illinois, is a little further from home. He decided to come to UIS because of its location in the state capital. He plans to major in political science. “I think it will be a lot easier than a bigger campus to make meaningful relationships and being in the state capital for political science it will be really nice to find internships and other opportunities,” said Newberry. Student Orientation Leader Autumn Harris says she looks forward to welcoming new students to UIS each summer. She says the orientation leaders at her freshman orientation impacted her decision to attend UIS, now she’s excited to welcome the next generation of students. Incoming student Natalie Kirkbride of Pana feels she made the right decision in attending UIS. “You get the University of Illinois degree, but you don’t have to go to Champaign or Chicago to get it. You’re kind of close to home and a smaller campus and it’s really nice to be here,” she said. McGuire hopes that students leave KickStart Orientation with the information they need to succeed at UIS. For more information on orientation, visit www.uis.edu/orientation/. The Society for Human Resource Management (SHRM) has awarded a 2017-2018 Superior Merit Award designation to the University of Illinois Springfield SHRM student chapter for providing superior growth and development opportunities to its student chapter members. This is the second year in a row that UIS has earned the distinction. e state conference and competition, published an article, hosted a fundraiser and volunteered.